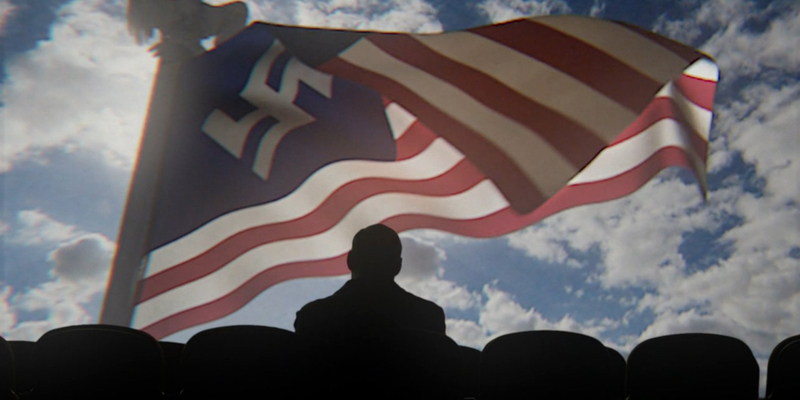 Close to two years after season two was released, Amazon appears to be making moves toward releasing season 3 of its alternate universe show The Man in the High Castle. The show, and Amazon Prime Video, have had various issues that slowed down the production of season 3. Amazon cancelled many of their shows during the same period, including their prestige, flagship shows, like Mozart in the Jungle. Amazon released a short teaser video today, announcing that season three will be available this fall. Watch the video after the cut. Amazon timed this teaser release perfectly, waiting until fans of The Handmaid’s Tale were wondering how they’d survive a year without regular visits to Gilead. Well, first some of us will hang out with the Harlots of the 18th century, but after that, it’s off to the Greater Nazi Reich and the Japanese Pacific States. There are unconfirmed rumors floating around that the show has already been renewed for season 4, which would certainly help bring back fans who are worried about Amazon’s commitment to continuing with the series. There are also hopes that a full trailer and specific release date will be announced at the upcoming San Diego Comic Con. At least Thanos took out the Nazis, too. Trailer from 2017 NY Comic Con 2017. Bets on how long it will take Smith to travel to another timeline and pick up a new, healthy son?